Arriving in what was to be our home away from home in rural Bulgaria, we knew not a soul. But by the time we left Kalofer, a tiny town tucked away in Central Bulgaria, where the livestock population quite possibly outnumbers the number of humans living there, an impromptu farewell committee was wishing us adieu. As we rolled our bags out of town, over Kalofer’s bumpy roads spotted with droppings from the village’s numerous goat, cow, and horse residents, locals whom we’d not yet met popped their heads out over their fences exclaiming the equivalent of Bon voyage in Bulgarian. They waved goodbye, flashed wide smiles, and head bobbles that we’d determined to be customary in the region – gestures that are reminiscent of those we encountered in India. In the shadows of the Balkan Mountains in Central Bulgaria, residents in the village of Kalofer have been making lace for more than one hundred years. The artisans initially drew inspiration from traditional Belgian patterns, but over time they developed their own designs, evoking images of ephemeral snowflakes, and silk-like spiderwebs. 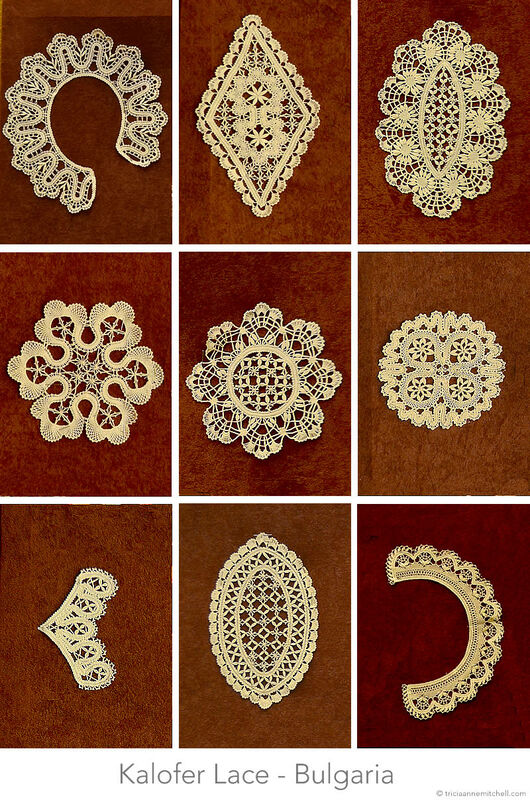 In Bulgarian, the lace is known as Калоферска Дантела (Kaloferska Dantela). Today, artisans of all ages painstakingly craft the delicate masterpieces, transforming thread into pieces that depict swans, flowers, peacocks, and even amoeba-shaped flourishes destined for women’s dresses.